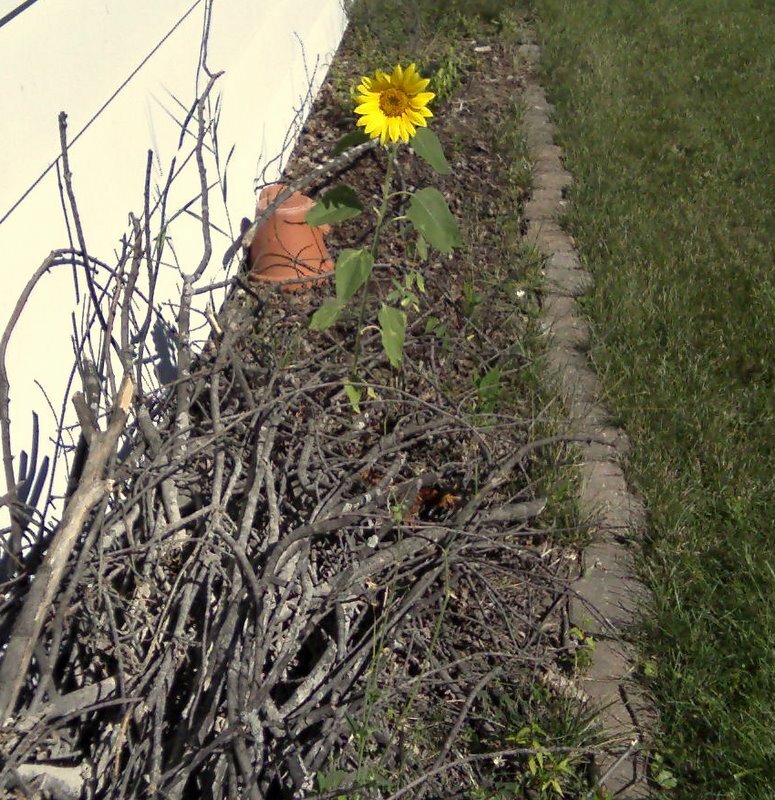 My neighbor pointed out recently this sunflower that sprouted near our brush pile between our houses. Apparently, sun plus seed plus squirrel or bird equals sunflower. I hope your week is off to a great start, and I hope you keep your eyes peeled for beauty everywhere!